You can create a strong workout right in your own apartment that will help you burn fat and build muscle. While working out in your apartment, try to keep your routine as quiet as possible. Avoid loud music, heavy jumping, and dropping hand weights. Always start with a short 5-minute warm-up and end with a cool down. The exercises listed below are all intended to create a quiet workout. Combine any of these exercises to find a routine that works for you. Chair squats: This exercise is great for your strengthening your lower body. You can use a chair for added security if you wish. Stand with your feet shoulder width apart and put your arms out in front of you. Sit back while keeping your knees behind your toes. Repeat 10 times and increase reps as you gain confidence. 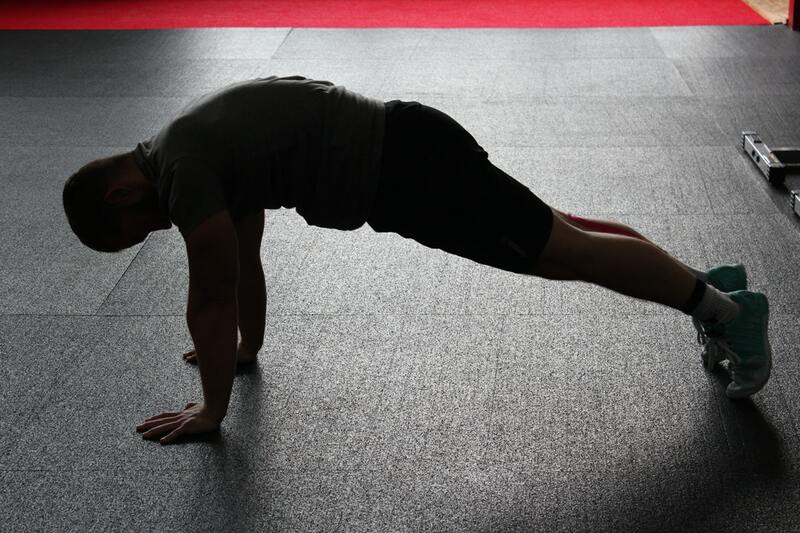 Quiet Burpee: The same as a traditional burpee, except do this one slower and one step at a time. Start in a standing position with feet shoulder width apart. Squat down with your hands on the floor and move your legs behind you to do a push up. Then back up to a squat and stand up with a small jump, making sure not to thump on the floor. This is a total body exercise that will help tone and build muscle. Repeat 10 times, add reps when you can. Lunges: Stand with one foot in front of the other and drop down by bending your knees and keeping your upper body straight. This is a great lower body exercise that will strengthen your legs. Start with 10 reps per leg. Mountain Climber: Work your core, back, chest, and legs with this exercise. Start in a plank position, then bend your left knee up towards your chest as if you were climbing stairs. Return your leg to the starting position and repeat with your right leg. Start with 10 repetitions and gradually increase as you can. Although these exercises don't require any equipment, you can add difficulty by purchasing some resistance bands. These bands are great for apartment workouts because they provide added resistance without using extra space like in this 30-minute resistance band workout.